1. Finishing Touch Flawless Women's Painless Hair Remover makes waxing that 'stache seem barbaric, thanks to its gentle technology that can glide over lips, chins, and cheeks. Did I mention it's 18-karat gold? ~Fancy~. Requires one AA battery (included). 2. TubShroom wins major points by neatly catching hair from drains...because snaking them is pretty traumatizing. 3. Müeller Onion and Pro Vegetable Chopper dices hard food efficiently and easily with sharp stainless-steel discs to ~cut~ prep time in half. It also reduces onion vapor for a hopefully tear-free experience in the kitchen. Comes with Müeller stainless-steel discs, a four-cup container, cleaning brush, and Mueller recipe e-book. FDA-certified, BPA-free, and dishwasher-safe. Promising Review: "I have a disability that affects my ability to use my hands. Chopping food is exhausting and painful, so I stopped making a lot of my favorite foods or switched to pre-chopped versions. Until I found this. 4. Veggetti Pro Table-Top Spiralizer slices vegetables into spaghetti-like curls for a healthier alternative to pasta. Comes with three different blades: thin, thick, and ribbon. Spiral vegetable slicer features non-slip suction cup base. 5. by.RHO Screen Repair Kit tapes over ripped screens to sneakily cover up holes without paying the big bucks for a handyman. It's even waterproof, so you can have it on hand for a *rainy day*. Includes a 2-by-80-inch roll you can easily cut with scissors. 6. PackIt Freezable Lunch Bag replaces ice packs by keeping food cool all day. Pop it in the freezer overnight, and feel free to pack it with fruit or just a lot of cheese. Get it from Amazon for $15.99+ (available in 31 colors). 7. 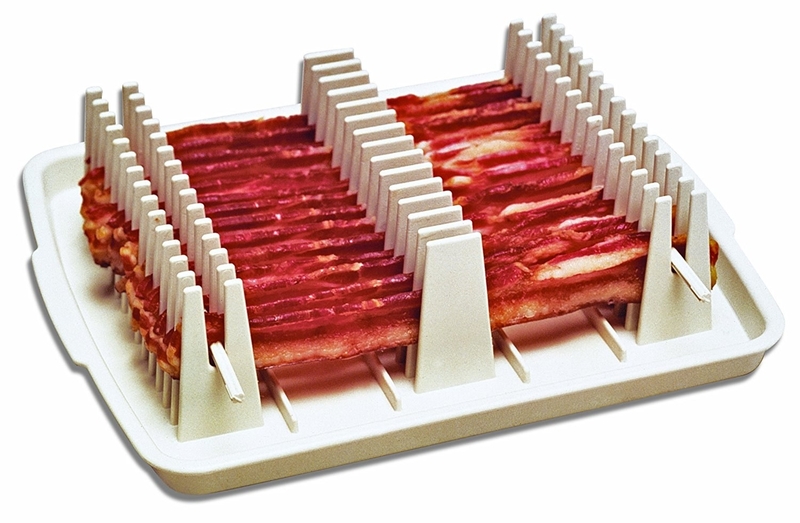 Emson Bacon Wave lets you pop your favorite pork dish in the microwave to save yourself from greasy messes. It also makes bacon ~healthier~, as its lack of oil minimizes fat and cholesterol. So go ahead, have a tenth piece. BPA-free, and dishwasher- and microwave-safe. 8. Magic Pens by Wham-O transform pictures before your eyes by changing and erasing color already on the page. Now your kid (or you) never has to worry about staying in the lines again. Works only with other Magic Pens. 9. Turbie Twist Microfiber Super Absorbent Hair Towel dries your locks — whether they're long, short, thin, or thick — quickly and hands-free (and actually stays put). Promising Review: "I'm not really sure how I dried my hair before this product, but since I've discovered and started using Turbie Twists, my shower routine has become so much easier and faster! It really is effective at drying your hair quickly, while keeping it tucked away, so you can go about doing what you need to without worrying about dripping hair, or a giant towel falling off your head." —Amanda P.
Get a two-pack from Amazon for $18.95. 10. Allstar Innovations True Touch Deshedding Glove grooms pets with a simple rub down to rescue your couches from unwanted fur. Get it from Amazon for $2.54. 11. Wonder Wallet holds up to 24 cards in a super slim and compact leather design as a cheap way to declutter your essentials. Includes two inserts for the wallet. It also has RFID blocking to stop remote scanning of cards and to protect private information. Get it from Amazon for $8.99+. 12. Sticky Buddy collects lint and pet hair from couches, comfortors, carpeting, and car seats with a simple swipe — it's even washable so you can reuse it again and again. Get it from Amazon for $9.29+ (available in two sizes). 13. Clean Reach extends to scrub away grime in tricky corners that normally require kneeling and stretching. Extends to 33 inches. Its pad also includes a soft side to polish and clean mirrors and glass. 14. Flex Seal sprays clear coating material to easily stop leaks, seal cracks, and cover past damage. Works on roof leaks, gutters, skylights, windowsills, flashings, downspouts, foundations, awnings, chimneys, vent pipes, RVs and campers, and trailers. Seals immediately. Get a two-pack from Amazon for $25.98. 15. 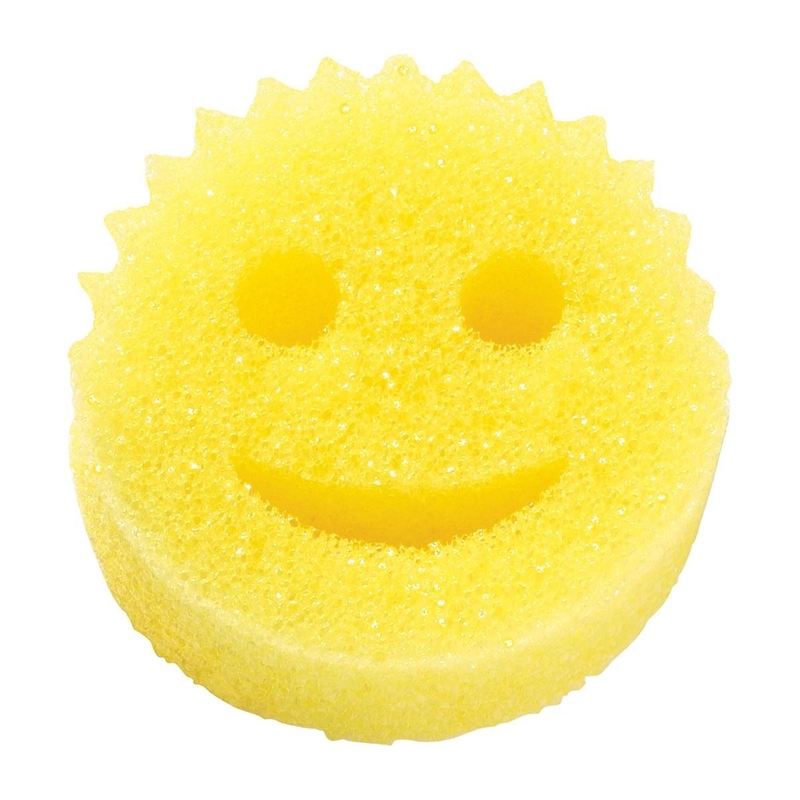 Scrub Daddy masters the art of removing hard marks on dishes with tougher materials than a typical sponge that merely ~scratches the surface~. Dishwasher-safe and machine-washable. Can last up to two months. Get it from Amazon for $7.22. 16. Hercules Hook Wall Hanger installs sturdy, curved nails into walls tool-free, and can hold up to 150 lbs. Get a 10-pack from Amazon for $7. 17. Pressure Pro Pressure Cooker serves your meals from one pot to save you time with clean-up. Choose the setting based on your dish — popular ones are stews, rice, and rotisserie chicken. Non-stick, FDA-grade (removable) inner pot is dishwasher-safe. Get it from Amazon for $69.95+ (available in two colors and four sizes). 18. 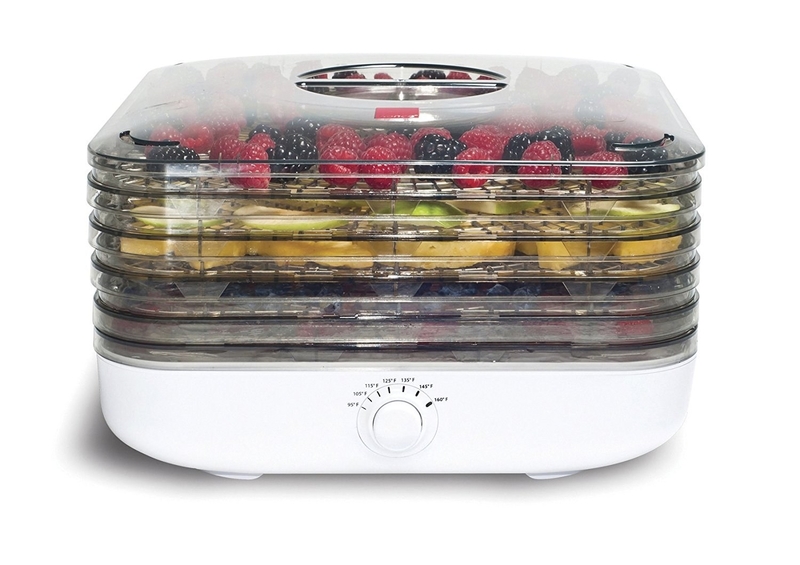 Ronco EZ Store Turbo Food Dehydrator dries food like fruits, vegetables, and herbs with an adjustable temperature control to enjoy your healthy snack ASAP. Trays are easy because of their thin design. Dishwasher-safe. Get it from Amazon for $37.71. 19. Emson 9663 Car Cane Portable Handle gives you proper support (up to 350 lbs.) to safely climb out of the car — even at night when using its light. 20. Fasta Pasta cooks in the microwave for a *strain-free* method to get a fast and delicious dish. Lid prevents water from ever boiling over. Dishwasher-safe. 21. ShamWow absorbs big spills, cleans pets, and shines just about anything you use it on — it can even hold up to 21 times its weight in liquid. Get an eight-pack from Amazon for $19.95. 22. 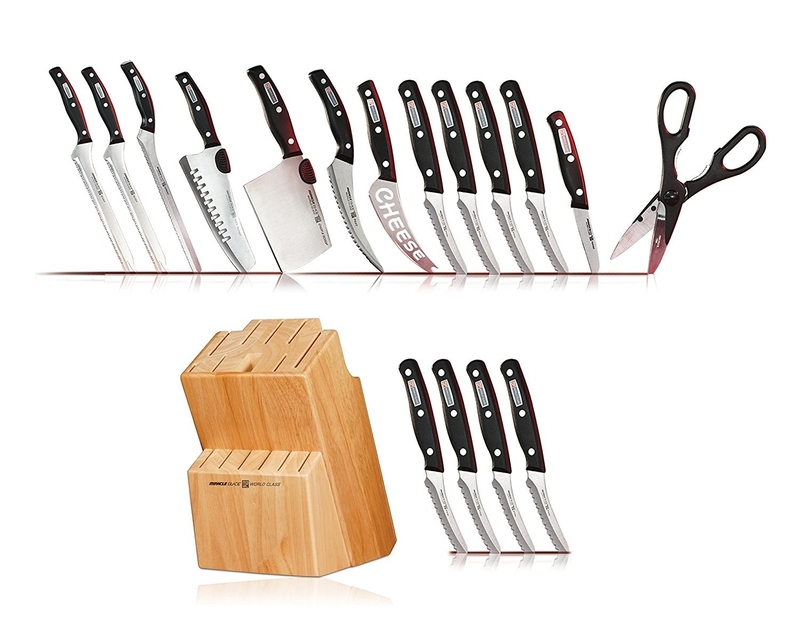 Miracle Blade World Class Series 18-Piece Set includes an extensive array of knives for every conceivable purpose, including cheese, large meat, bread, and fish. Their handles are contoured specifically for both comfort and safety, so you stay out of the ER. 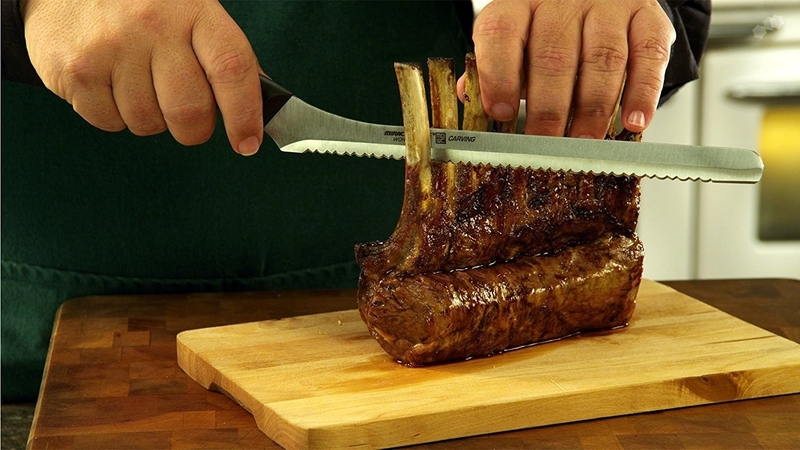 Set consists of two slicers, one carving knife, one rock and chef, one chop and scoop, one filet knife, one cheese knife, four steak knives, one pairing knife, one pair of kitchen shears, a block, and four additional steak knives packaged separately. Get them from Amazon for $53.80. 23. Wonder Hanger downsizes your closet's clutter by stacking garments and folding down to create previously unavailable space. 24. 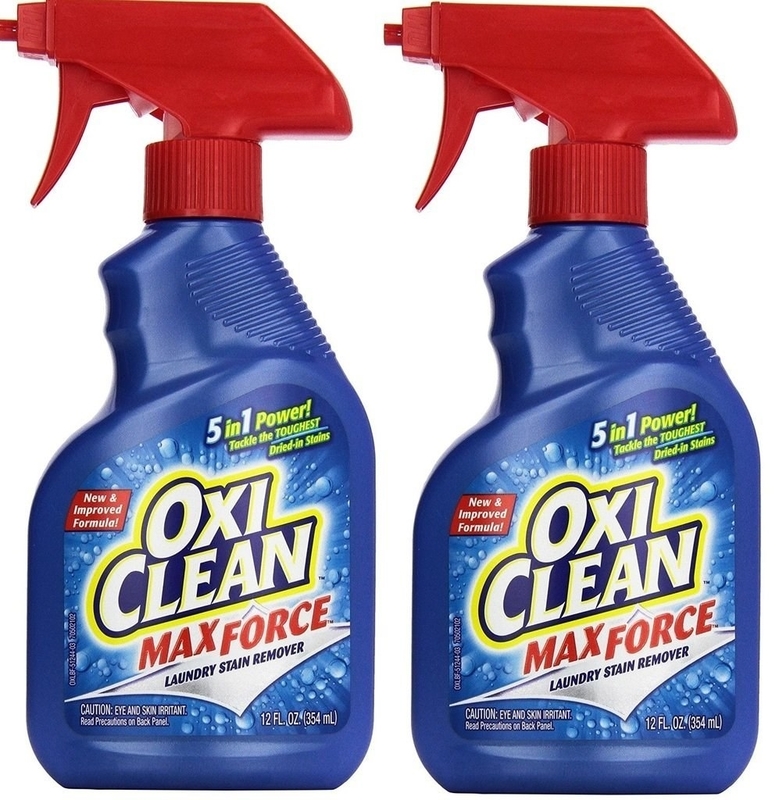 OxiClean Max Force Laundry Stain Remover Spray removes even the most intimidating challenges, minus the desperate scrubbing. Get a two-pack from Amazon for $13.49.